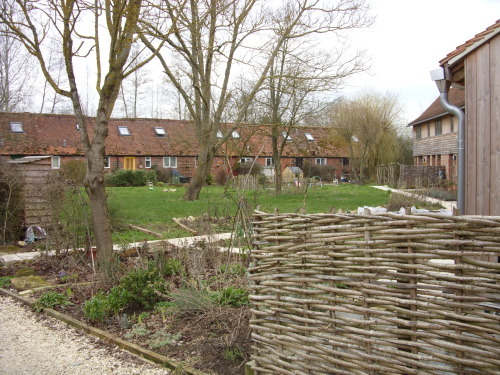 I spent Saturday night and Sunday with a Dorset co-housing community – The Threshold Centre. Their numbers have soared in the last year, from around 8 people to over 20 so they felt it was appropriate to pause and reflect on their group decision-making process. 18 of the community came together for the workshop. The Centre is housed in a converted farm. 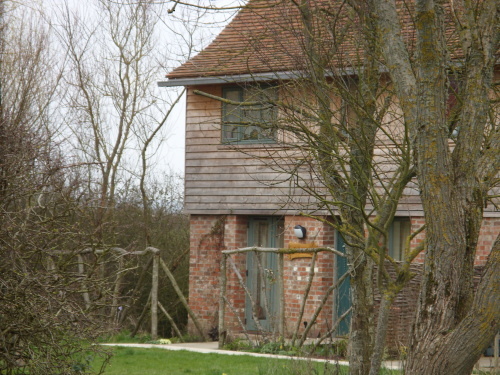 The farmhouse contains communal living, dining and kitchen space as well as bedrooms for long and short-term guests. 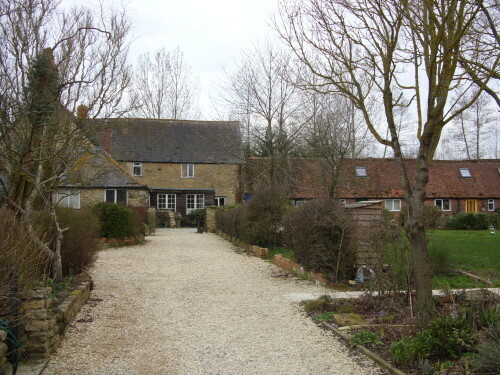 The community are housed in a row of cottages, originally converted by the farm into holiday cottages, and a row of purpose-built houses on the site of 2 barns (and using the brick and roof tiles of the barns). The whole thing sits around ‘the village green’ and gives it the feel of a small hamlet – a real sense of community living. Threshold also run courses on co-housing as well as other topics that relate to the skills and interests of their residents. We spent 6 hours on Sunday coming to a shared understanding of what consensus decision-making is, and how this group might use it. About an hour and a half was taken up with ‘technical’ stuff – looking at the consensus process and answering a series of questions. The rest of the time was spent working on the essential skills and states of mind that underpin consensus – listening, empathy, willingness to put aside the personal agenda for the group, understanding the margins and mainstreams of a group, and exploring how to deal with potentially opposed and entrenched positions. A couple of useful questions emerged – the first is one that Threshold folk already ask – “can you live with it?”. The other,for when discussion gets heated and relationships strained, is “is this issue more important to you than this group?”. It would be easy to look at these questions and think they’re calls to compromise. In a strange way they are. Consensus asks us to compromise on our personal ambitions in order to build a stronger, more creative collective outcome. So maybe we could say it’s about compromise within the process in order not to compromise the final decision. The level of ‘group’ awareness was high as might be expected from people who have chosen to live communally. Plus there was a much higher than average number of people working in process related fields – psychotherapy, facilitation, training and so on. All this bodes well for them to use consensus as it’s meant to be used. However even a group of this nature still struggled with some of the activities. I’ve been playing with an activity around using empathy and listening to move a group beyond entrenched positions. The format is quite simple – one larger group of people represent a majority position. One or two others represent a minority. The minority stand at one end of the room. The majority at the other. They’ve chosen a discussion they can all relate to, and within it 2 competing positions. The majority take one, the minority another. They dialogue and if the minority feel that space opens up for them to be heard they take a step forward. With good listening and empathy a supportive ‘bridge’ is created and the minority can walk across the room, not because they have changed their position, but because it feels as if their position is heard, understood and respected. My observation of people using it is that they dig in deeper before they start to realise that the first thing to do is stop digging and start listening. Some groups I’ve worked with have never even made it to this realisation. And even when the listening begins, it’s not always obvious – in one small group at the Threshold Centre participants stated that they were feeling empathy but didn’t manage to do so in a way that allowed the minority to feel empathised with. As an added twist I threw in a facilitator role. I usually have an observer role in this activity, to improve the quality of the reflection at the end. This time I asked one (or more) of the observers to step in once the dialogue was established and facilitate the group to deeper levels of mutual understanding. It was a tough ask, but people did take on the role and it did make a substantial difference to the quality of dialogue. Other issues that arose included: how to successfully give working groups a clear mandate and hold them accountable whilst balancing that with trust and support; the tension between time spent in the decision-making process and quality of decision made; and the possibilities for starting the decision-making process outside of meetings using tools such as community noticeboards. The energy at the end of the session was high, despite the group having already met the previous day for a 4 hour meeting. Evaluations were positive though, of course, not perfect. Comments ranged from: “can’t think of a single thing that didn’t work”, “full of energy, vitality, fun and very valuable insights”, “the flow was fantastic” and “well led, inclusive, clear and interesting” on the plus side to “short exercises don’t work well for me, so maybe fewer but longer”, “some group work was too comfortable” on the negative side. There was also a little criticism of specific exercises, particularly one around personal values and group values which 2 of the group didn’t find useful. I’m aware that I left the group with a long conversation to have about how they will apply the consensus process now that they have a shared language and understanding of it. I look forward to checking in with them at some stage in the future to see how it’s going. Look out for our upcoming series of posts on consensus over March and April: what it is, how it’s used, the state of mind of a well-functioning consensus group, and more. Feel free to contact us with your questions or comments about consensus and we’ll try to address them as we go!